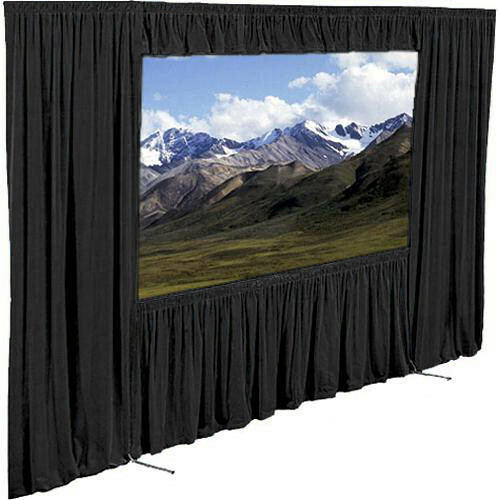 For a memorable presentation, you can give your Draper 68x68" Cinefold or Truss-Style Cinefold a professional, cinema-like appearance with a striking velour Dress Kit. Stage curtains surround the viewing surface, focus the audience's attention on the screen and frame your visual presentation. Presentation is half the battle. Draper Dress Kits allow you to put that finishing touch on a show you've worked hard for. The stylish and lightweight kit frames your screen and focuses the viewer's attention on exactly what you want them to see. Box Dimensions (LxWxH) 58.0 x 16.0 x 13.0"